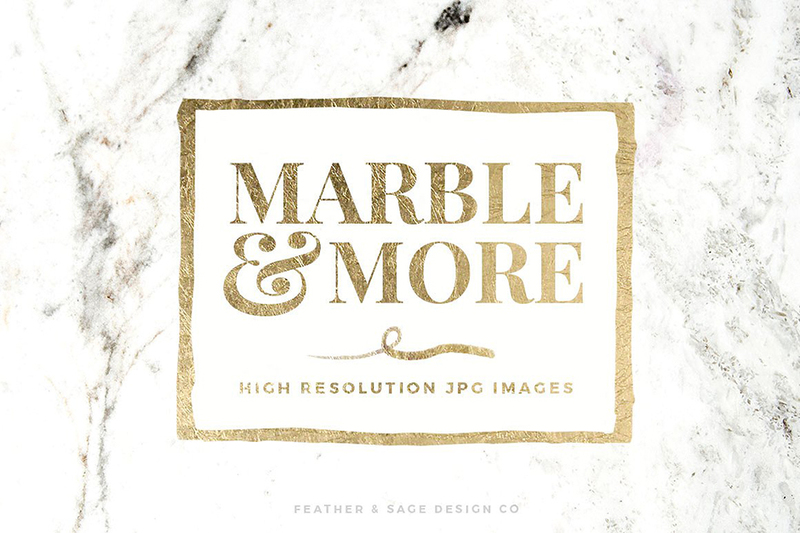 Marble & More Background Images	By: Feather & Sage Design Co.
“Marble & More” Background .JPG Images. What began as a collection of real marble background images turned into something more where I started adding some other complimentary images and details to complete this set. This great set of backgrounds are ready to use in your next project. Backgrounds for your product mock-ups, visual branding, unique labels or tags, spruce up your blog posts and website or social media posts, stationery design, packaging, poster design, creative art collages, stickers, and more. Software compatibility: Adobe Photoshop CS2 or newer. .JPG files will work with most graphic software. “Marble & More” Background 72 .JPG Images. Software compatibility: Adobe Photoshop CS2. .JPG files will work with most graphic software. File size is approx 857.1MB (1.03GB unzipped), offered as a single download. I love these!!! Are these 300dpi? Thanks so much for your comment and we are so glad that you do!